Bed And Breakfast215 sq. ft. The B & B "Degli Artisti" is located in the historical center of the 'city' of Magliano Sabina (ancient 'Manlianus'), on the second floor of a building overlooking the Via Angelo Orsolini. In the past, the palace belonged to the ancient patrician families of the Americas and Paoletti. Arranged on three floors (over turret now altana), the internal structures are presumably of medieval origin, but the current exterior appearance dates back to the end of the seventeenth century with various restoration works carried out over the centuries. In particular, the Paoletti Family, which owned it until the year 2001, had restored it in the year 1907, conforming it to the emperor 'Victorian' style of the period. 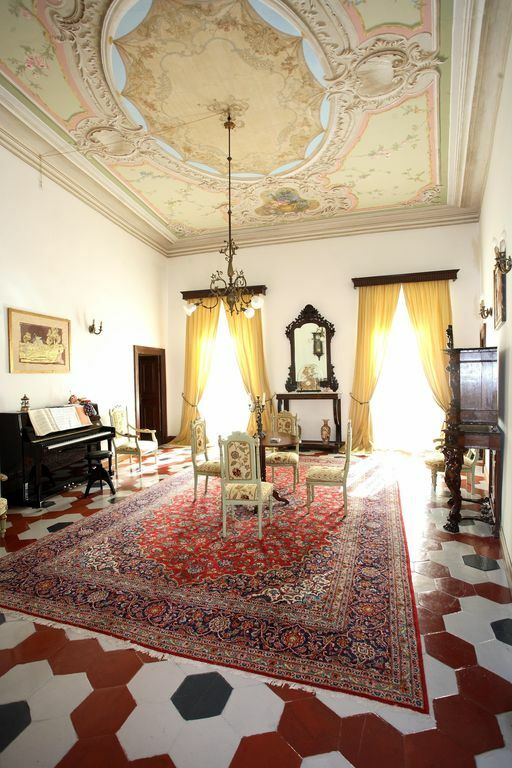 After their purchase in 2005, the current owners have provided for the restoration of all the interiors without, however, changing the consistency and originality of the premises, thus revitalizing, in particular, the floors, furniture, furnishings and frescoes dating back to the most varied eras. Finely furnished and equipped with an en suite bathroom with sink, bidet, shower and w. c.
In Magliano Sabina you will find the Sabino Archelogical Museum, the 'Ecclesia Cathedralis Sabinorum', the church of San Pietro dating back to 1200, high quality food products such as oil, wine, meats and cheeses.